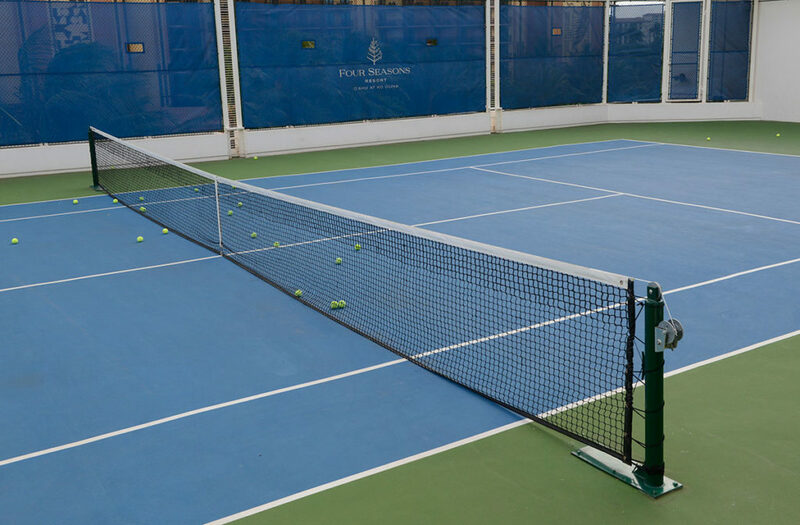 In early 2017 IPR Hawaii partnered with the Four Seasons Resort in Kapolei to provide tennis netting systems for their outdoor recreation deck tennis courts, synthetic turf outdoor fitness area with additional section of seamless rubber surfacing, and the installation of flooring for their indoor exercise room. Recreation decks present unique challenges for any items that require surface mounting to stay in place and this project was no exception. Our years of experience in the outdoor sports equipment field allowed us to meet these challenges with success. 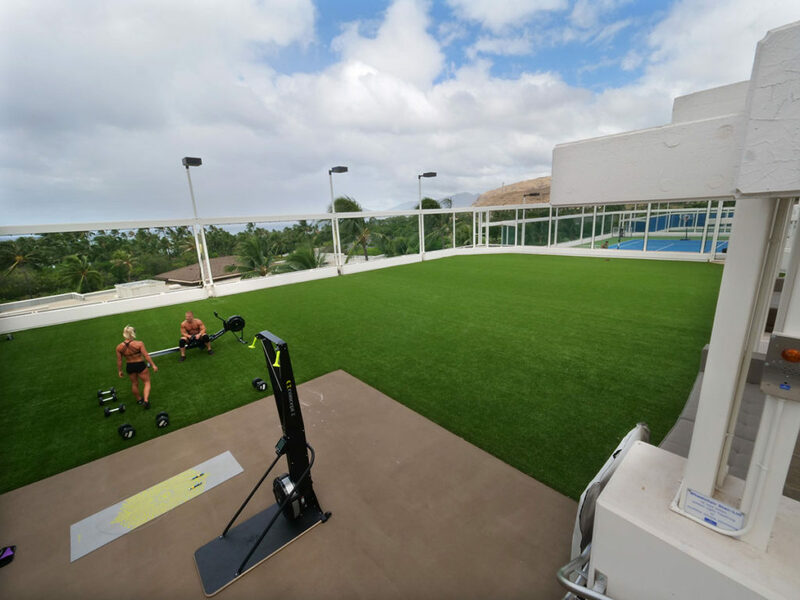 This large carpet of synthetic turf provides a luxurious and virtually maintenance free surface for the outdoor fitness area at the Four Seasons Resort in Kapolei. Guests are able to enjoy the salt air and island views from the elevated fitness deck. 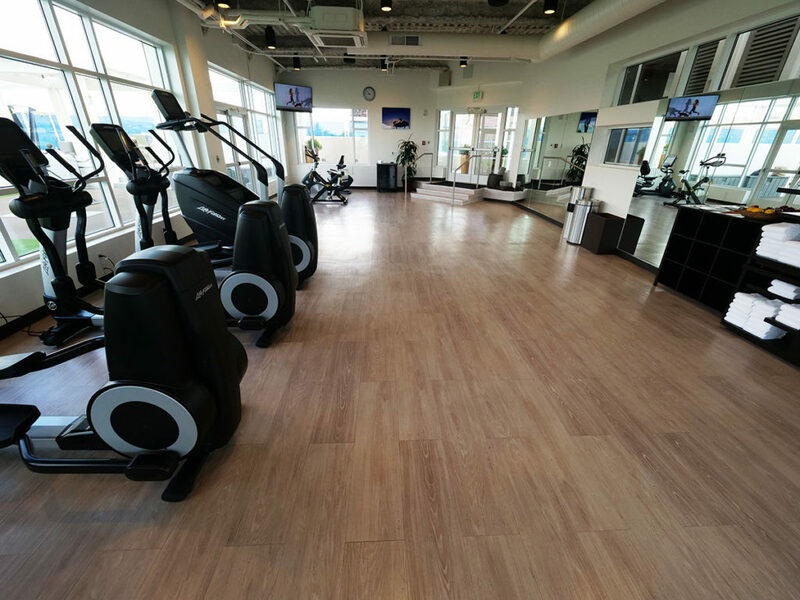 While the flooring for this exercise room was not provided by IPR, our experience working with a variety of surfacing systems allowed us to install the flooring they provided and complete the exercise room project for our client. We are often able to step outside our normal work scope for unique projects that would like to work with just one contractor. CONTACT US to discuss your recreation project needs!